Tom Hodges can remember the day he picked up a Pencil, May 25, 1977. It was after seeing Star Wars for the first time that Tom decided that using his imagination and drawing his ideas would be his path. He was 5 years old. Fast forward to 29 years later and Tom has not only achieved his goal of becoming a fulltime artist, but he also works for the very franchise that drew him (pun intended) to art. For the last 3 years, Tom has been the regular fixture among the Star Wars Universe. Providing the art for the very popular Hyperspace webstrip series "Evasive Action" which begun in October of 2004 with "Reversal of Fortune" and recently ended its 3rd storyline in the series, "Prey". Next in the series is "End Game" (working title) coming this Fall and after that, a whole collaboration with author Karen Traviss on a new Webstrip for Hyperspace. 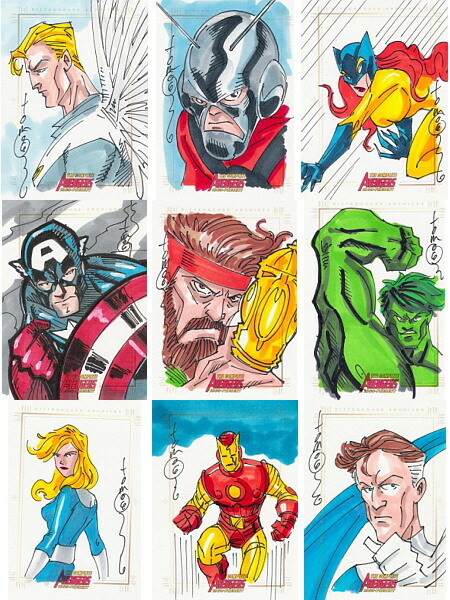 Tom has also provided art for the sketch cards from Topps' successful Star Wars Heritage and Revenge of the Sith sets Not to mention their The Lord of the Rings Evolution and their upcoming Masterpiece collection. Along with The Webstrips and Comics, Tom is also providing the artwork for "Secret Identities" a Graphic Novel for Platinum Studios, written by Comic Legend Marv Wolfman and Tom has two creator owned comics in the works. "M" a high action Comic and "The D'VilKnights" are currently in the early stages and should see print in 2007.